“Time stands still for no man.” This ancient phrase is still true. There is never enough time. It is consumed by happiness, sadness, joyfulness, pain, brief moments and lasting memories. Regardless of how we spend our time, the clock continues to tick. 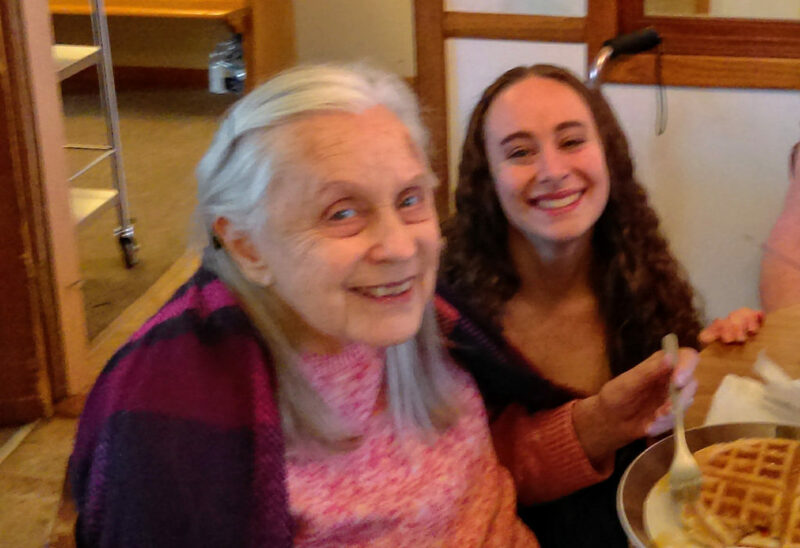 Lily Katz, granddaughter of our wonderful Sojourner, MaryLou, gave the gift of time to her grandmother this November. A dancer from Upstate New York, Lily lives a busy and passionate lifestyle. Training, auditioning, teaching dance classes, working backstage at a local facility even being a barista at a coffee shop. She works hard to follow her dreams as a professional dancer. 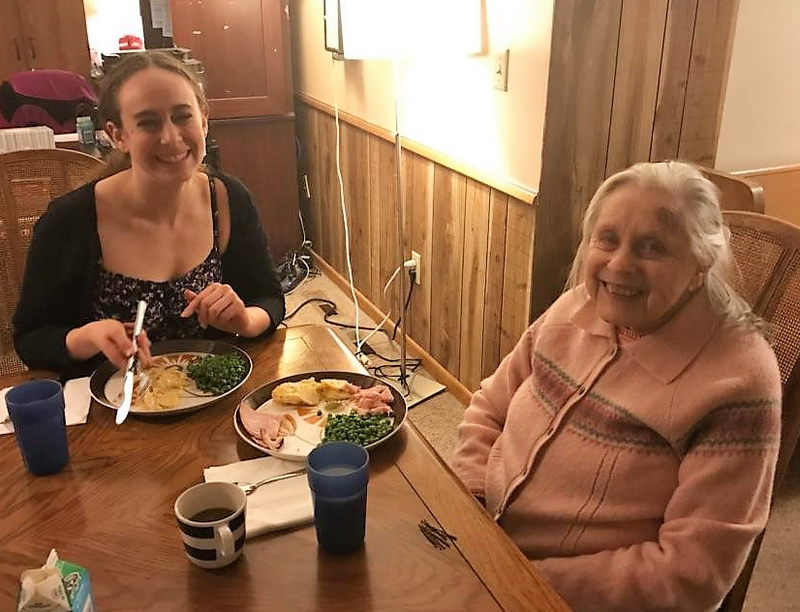 With three days off, Lily decided to venture to Minnesota to visit her grandmother, MaryLou, who just celebrated her 89th birthday. “I love to hear her words of wisdom,” shared Lily. From spending time at the Sojourn Day Center to learning how to do pin curls for a show, Lily cherishes the moments shared with her grandmother. When Lily arrived, she asked her grandmother, “If there is one thing you could eat, what would it be?” MaryLou replied, “Waffles!” They wasted no time and made waffles before Lily headed back to New York. learn, and be in the presence of loved ones. May the most cherished gift of all this holiday season be the gift of time.